Your adorable pooches may not care about architecture, but you can surely offer them a comfortable pet home that’ as stylish as yours. 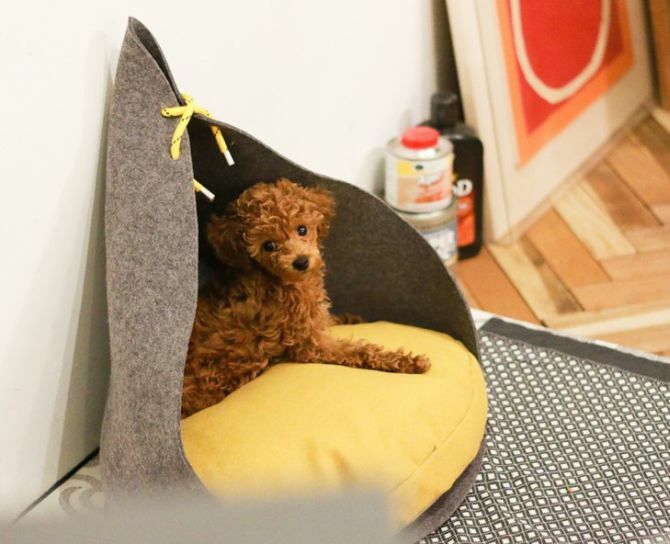 South Koren brand Bad Marlon has created a line of finely crafted pet homes, which is a contemporary take on the traditional dog houses.This means your four-legged friends can also enjoy the same luxury and comfort that you get in your living space. Having your beloved old car sent to a junkyard is one of the worst thing any automotive enthusiast could go through. Instead, some of the devotional cars can be turned into beautiful recycled car part products, making a way back to their owners. 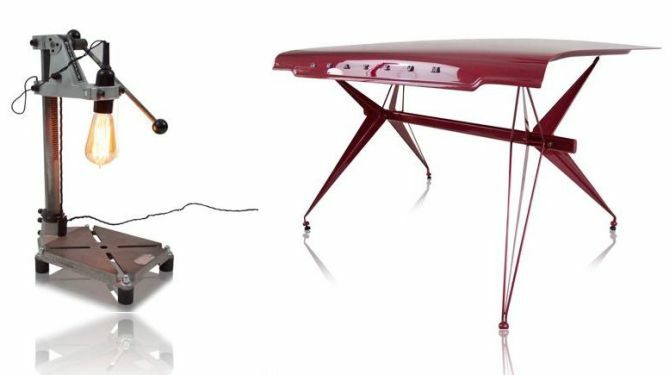 This is exactly what designers at German furniture studio Unibro Design do, they turn vintage automotive parts and tools into designer furniture pieces that can add industrial chic touch to any mancave or other modern interiors. We have shown you distinct type of bathtubs here in the past such as the Virgo carbon fiber bathtub by Corcel and the nature-inspired bathtub by DesignLibero. Today also, we are bringing you a unique kind of bathtub which is woven from wood. 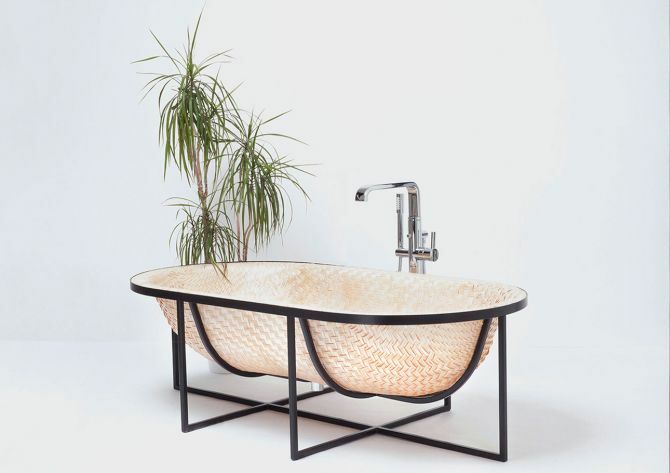 Tal Engel, Berlin-based designer has built a beautiful bathtub from pressed woven veneer sheet using conventional Asian boat-building techniques. Named Otaku bathtub, the project emphasizes on a ‘micro-cosmos’ of relations between sailing and bathing- as states of mind, and between boat and the bathtub as two functional entities. Lush green trees are certainly a beautiful part of nature, which make outdoors feel more lively and relaxing at the same time. But have you ever wondered what happens to old or fallen tree branches? Probably, these fallen tree parts remain on the ground of nearby streets/forests or damped into garbage. 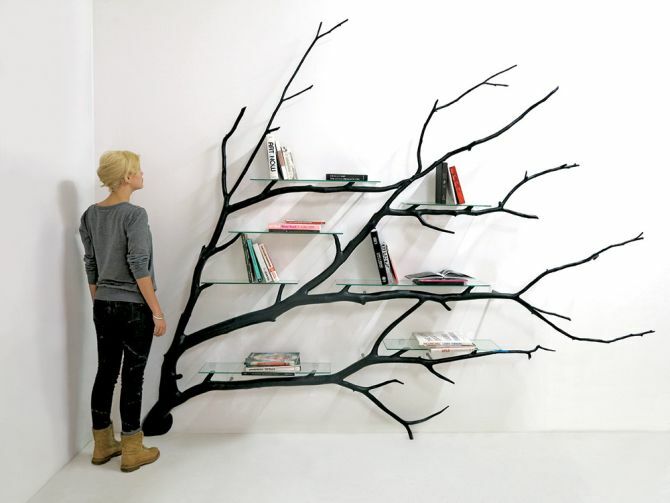 However, Chilean artist Sebastian Errazuriz turns found tree trunks and branches into aesthetic and practical furniture pieces, while bringing a small slice of nature indoors. Over the years humans have chopped down countless number of tress to build luxury residential or commercial properties. As a result, nature is now suffering with global warming due to deforestation. Deforestation also leads to reduced amount of water in the soil and air that further declines biodiversity. So, instead of cutting the trees why don’t we work with nature, instead of working against it? 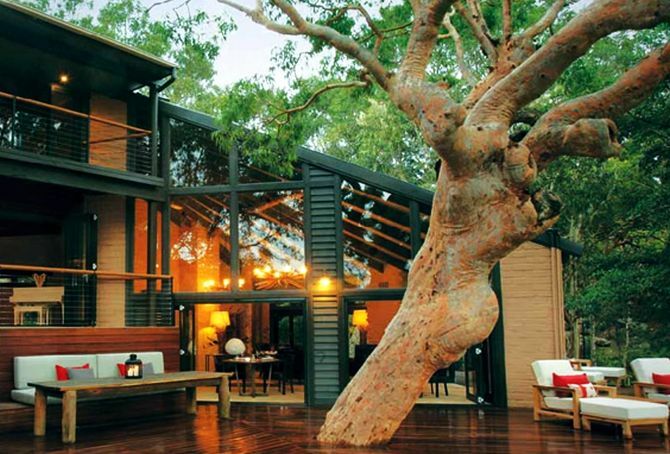 There are few clever architects who have come up with a brilliant solution in form of arboreal architecture to preserve natural forests while providing luxury living to homeowners. London-based furniture design company Duffy London has created the gorgeous Abyss Dining Table to bring nautical wonders into any modern home interior. 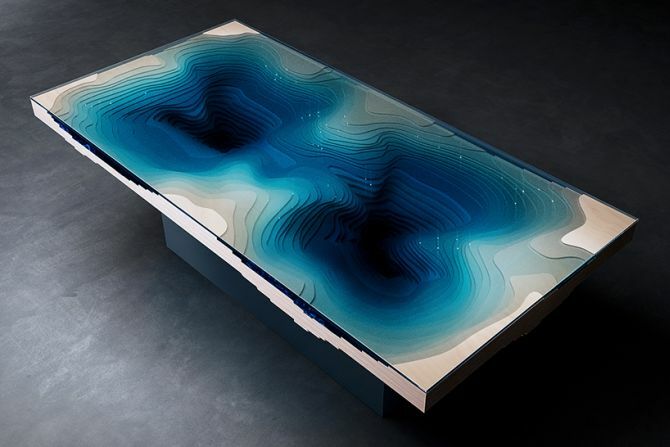 Inspired by nature, the incredible piece of furniture uses multiple layers of glass and wood to create three-dimensional representation of endless depths of an indigo ocean. Ever wanted to live like a super rich badass villain? 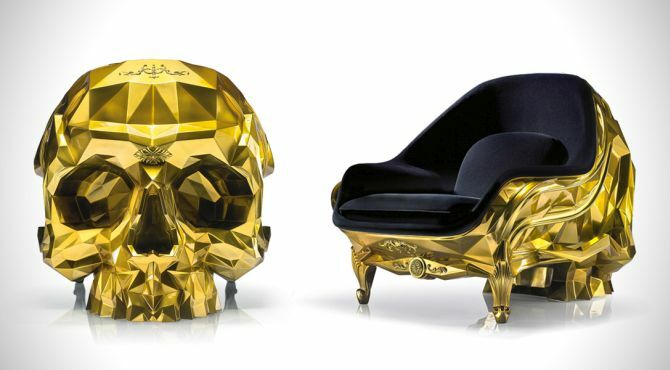 Well, this Gold Skull Armchair will definitely unveil the villainous side of yours. Designed by Luxe Parisian design firm HAROW, it is one of the most opulent lounge armchairs with dapper fabrics and precious metal finish. It appears like a luxurious throne chaise of any super villain. What makes it more extravagant is: geometric casting of a skull on the back that’s made entirely out of 24-karat gold. 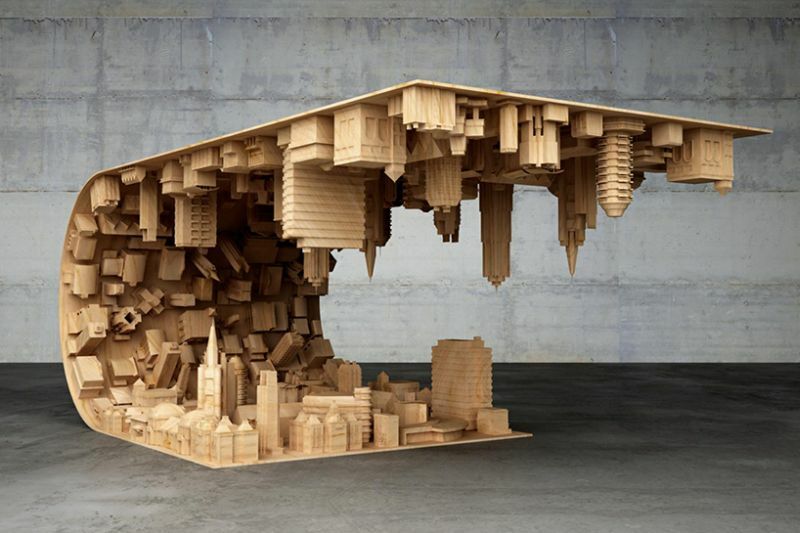 If you liked the mind-twisting film Inception (released in 2010), then Wave City Coffee Table influenced by the movie would certainly make you stare. Well, the movie is all about how a dreamer could control and manipulate his dreams for a certain purpose. Within the sequence of dreams, the dreamer could build entire cities that even defy the laws of gravity. It’s indeed a great film, but who would have thought that a designer could build a piece of furniture inspired by the movie? Samsung is known for introducing strangely practical electronics, be it the Swarovski crystals-studded Galaxy Note 3 or futuristic ring speakers. Now, the Korean tech giant is all set to launch its another mind-blowing product in the form of a refrigerator that is outfitted with a huge touch screen display. 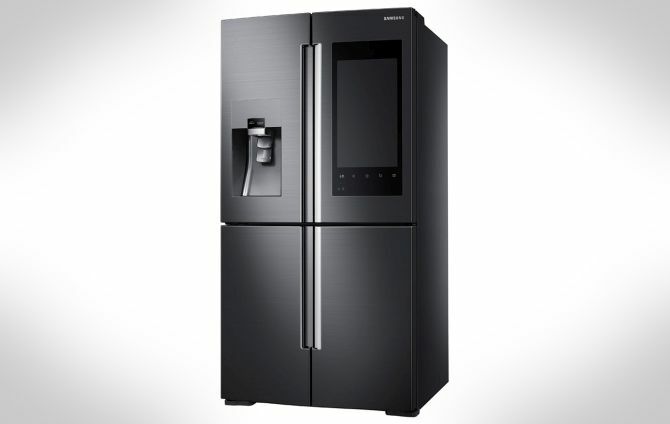 Entitled as the Family Hub refrigerator, the all-new appliance is all decked up with high-tech features such as 21.5-inch 1080p display on its door, speakers for listening to music and cameras equipped inside to watch food expire in real-time. The whole world succumbs to Star Wars: The Force Awakens fever, while the sci-fi flick continues to break the box office records. If you’ve already seen the latest galactic movie, you must be in full Star Wars spirit. Now, here’s another wonderful treat for fanatics by Tom BetGeorge, who is sharing his love for holidays with amazing Star Wars Christmas light show. 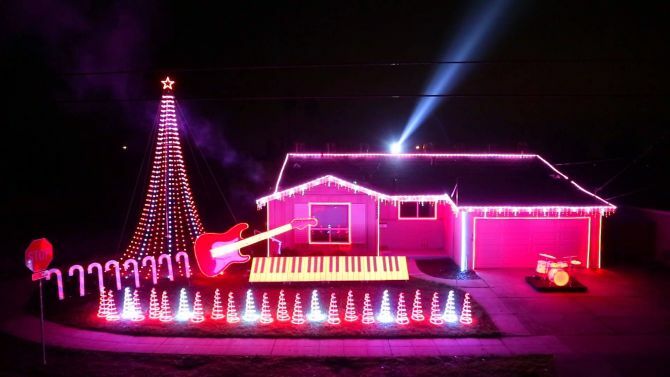 It is surely one of the most spectacular festive displays of 2015.